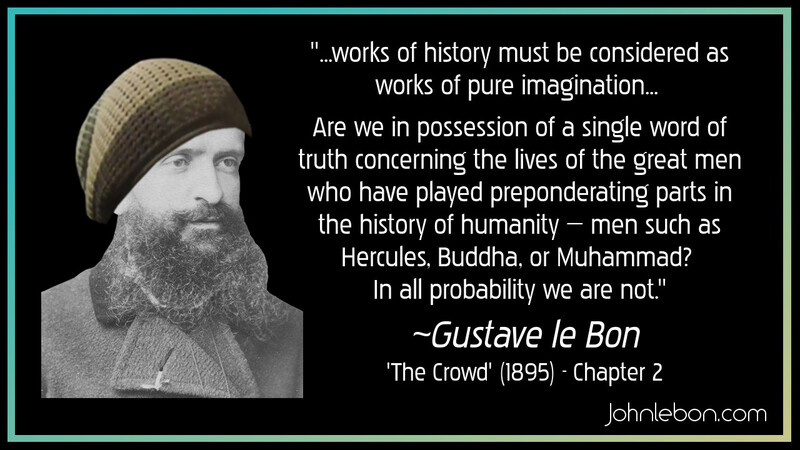 Gustave le Bon (1841-1931) French polymath who pioneered what is now known as ‘crowd psychology’. 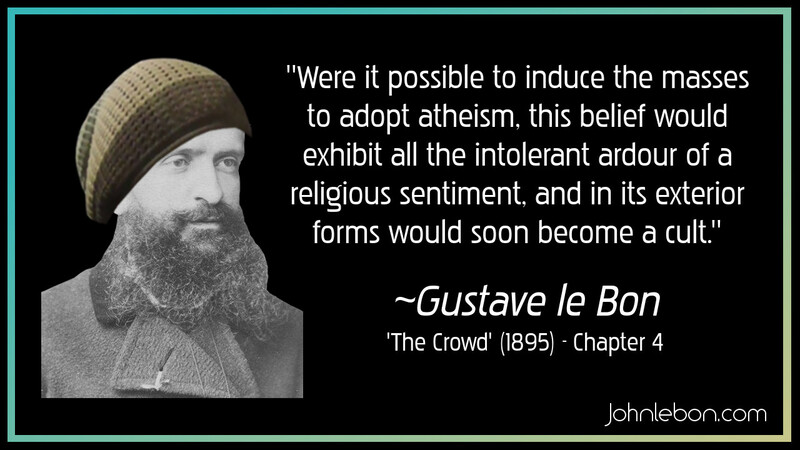 Source: The Crowd: A Study of the Popular Mind (1895), anonymous/unknown translator – pdf available here as at 2-Sep-2017. Page 24 of that copy. Source: The Crowd: A Study of the Popular Mind (1895), anonymous/unknown translator – pdf available here as at 2-Sep-2017. Page 45 of that copy. 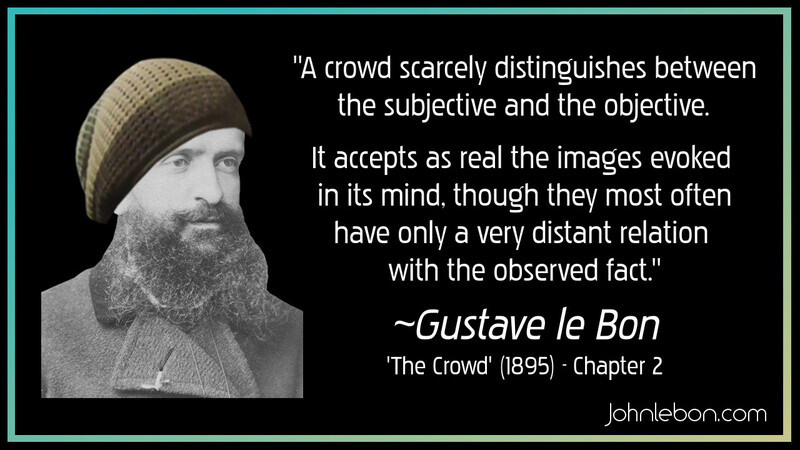 Source: The Crowd: A Study of the Popular Mind (1895), anonymous/unknown translator – pdf available here as at 2-Sep-2017. Page 69 of that copy. 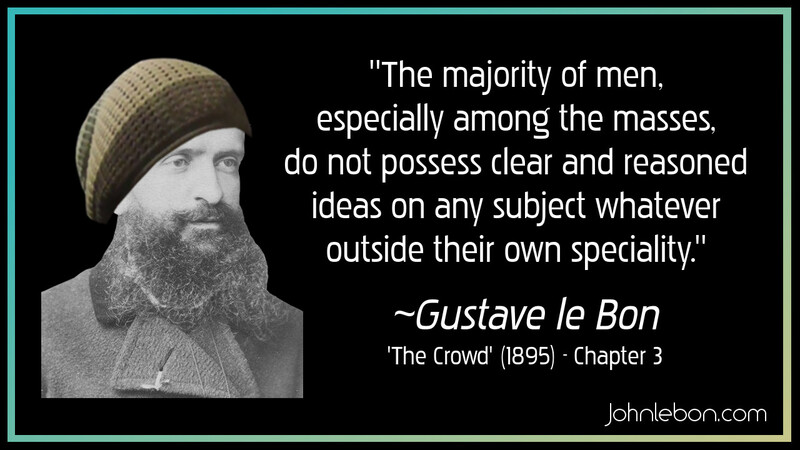 Source: The Crowd: A Study of the Popular Mind (1895), anonymous/unknown translator – pdf available here as at 2-Sep-2017. Page 28 of that copy.